Batman and Superman are almost more iconic together than they are as individual heroes. It's a fabled partnership (and friendship) that reflects the dark and light of DC's best and brightest, and the latest issue of Batman explores the sometimes distant intimacy behind it. Image: DC Comics. 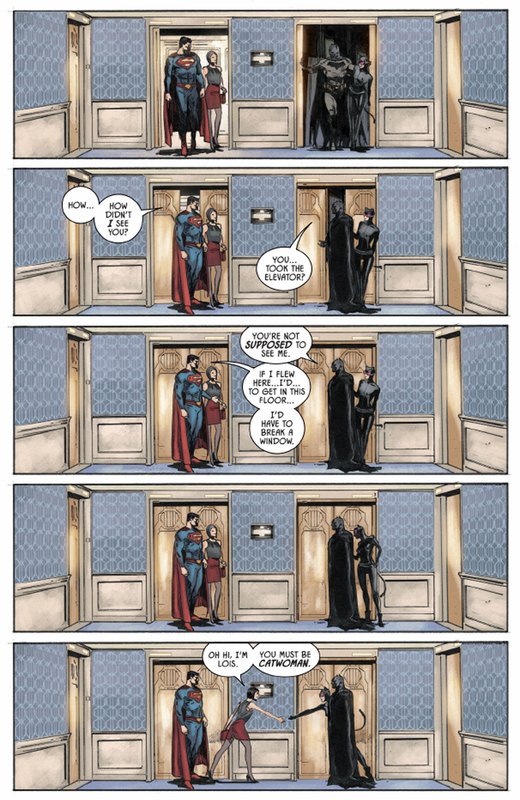 Batman #36 art by Clay Mann, Seth Mann and Jordie Bellaire, letters by Clayton Cowles. If you've not been following Batman lately, then a quick reminder: Batman is currently engaged to Selina Kyle, Catwoman herself, and although the upcoming marriage would not be the first in the Dark Knight's history, it's still a weird new status quo that the world of DC is struggling to deal with. That even includes Clark Kent himself, who is almost comically annoyed that his best friend got engaged and hasn't called him about it yet. And in turn, Bruce doesn't see why he should call Clark to tell him about his engagement in the first place. 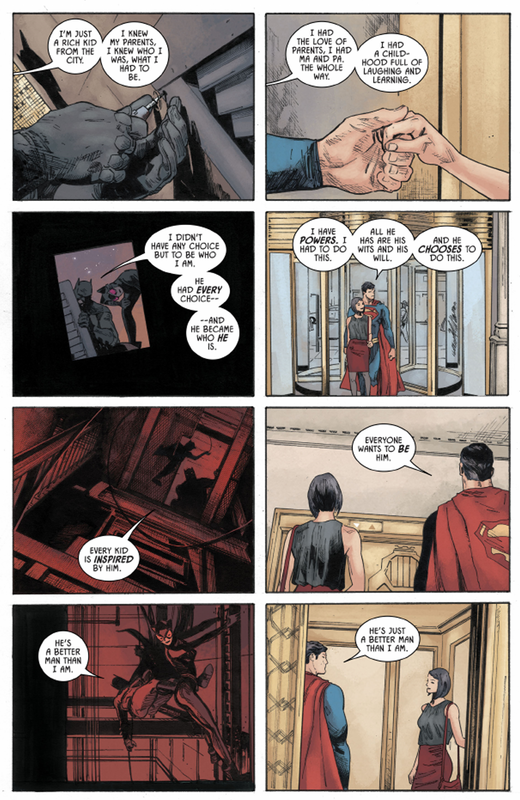 This is how most of Batman #36 - by Tom King, Clay Mann, Seth Mann, Jordie Bellaire and Clayton Cowles - plays out, with King's love of repeating dialogue and structure on full display as we cut between Superman and Batman on separate cases with Lois Lane and Catwoman respectively, each basically re-enacting the same conversation: Why should I call him? There's a lot of humour in the sulking shared by Clark and Bruce, which dances around the fact that neither of them can quite commit to acknowledging just how much the other means to them, even if Lois and Selina realise it instantly. 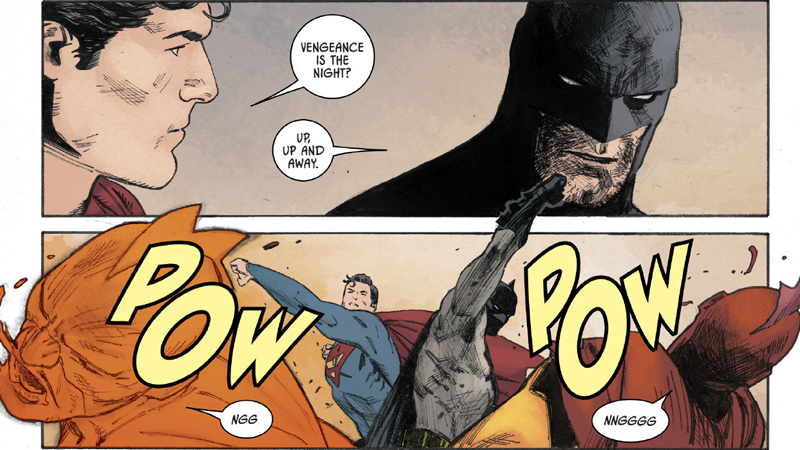 Clark deflects by saying he can't let a known thief be aware of his secret identity, only for us to jump to Selina telling Bruce she already knows (because duh, it's so obvious!). Both men fling themselves into the cases they're on because punching supervillains and thugs is much easier for either of them to process than having an emotional conversation with each other. 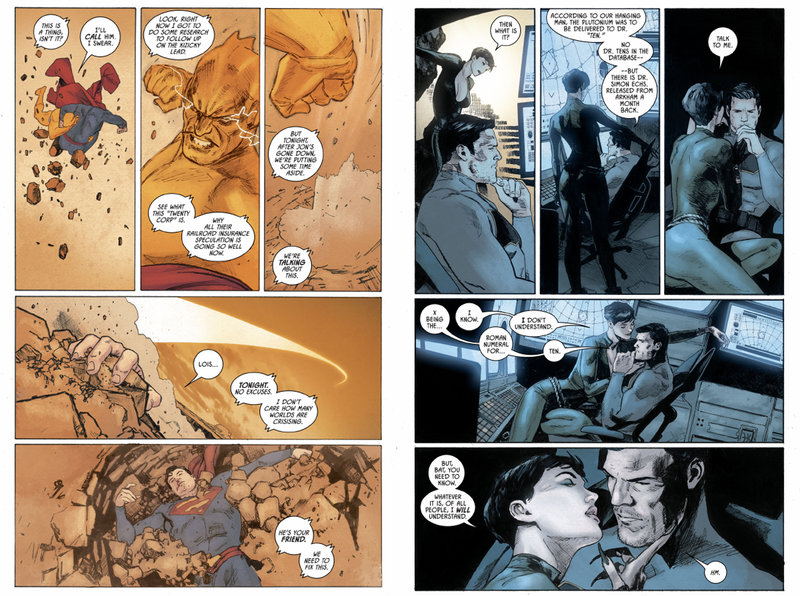 As the issue progresses, it stops cutting between Bruce and Selina and Clark and Lois every other page and starts bringing them together to share pages in halves, and the dialogue becomes more and more mirrored. As it does so, the conversations each couple are having with each other get a little more personal, a little more intimate. It becomes less about Batman and Superman moping and more about how they compare to each other as people. 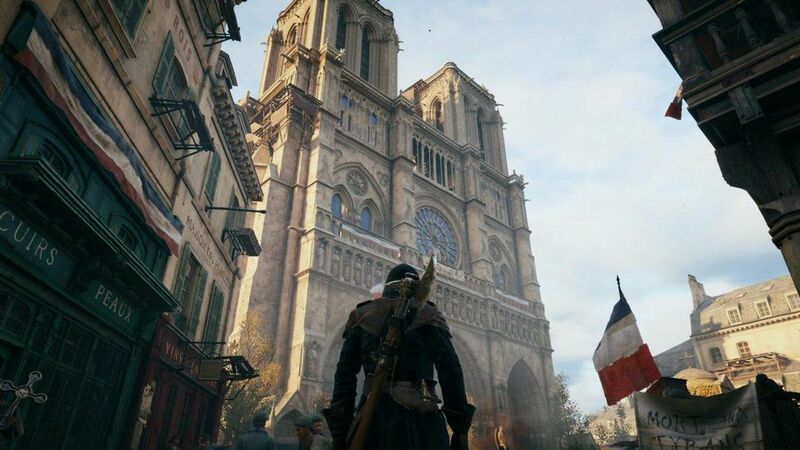 In both scenarios, each of them think much more highly of the other than they do themselves. Only then is it revealed that the two cases Batman and Superman are working on are actually two halves of the same case - and after they emotionally tell their respective partners that maybe they never were really close friends anyway, they bump into each other. And Lois and Selina finally meet. 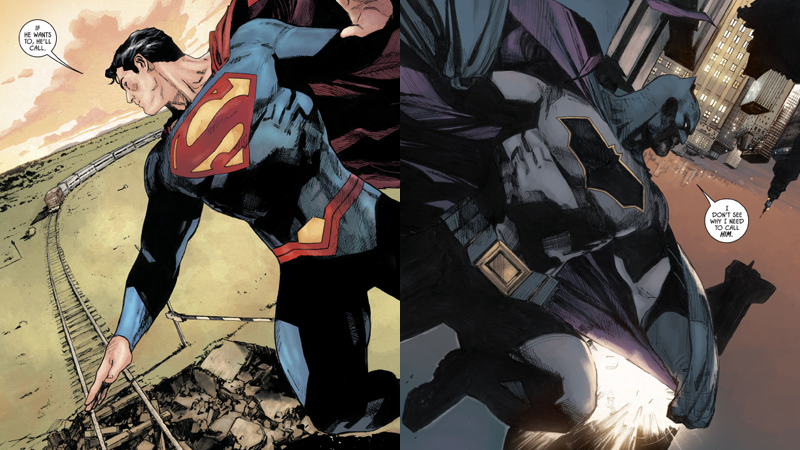 Although we don't actually get to see it yet, we know by the end of Batman #36 that Clark and Bruce will have their man-to-man conversation - after all, this is just the first part of a storyline delightfully called "Superfriends". But this build up to it is a wonderful examination of the fact that, no matter how strongly Bruce and Clark try to contrast themselves, they're more like each other than they realise. That's ultimately what makes them such good friends and teammates. lol at lois and catwoman.